Mabel’s final travel Chronicle in the company of her husband Theodore Bent is one of her most readable. She begins it in November 1896 with a calligraphic flourish suggestive of the couple’s eagerness to be travelling once more and returning to Southern Arabia after an enforced switch of focus to the Sudan for their Winter 1895/Spring 1896 expedition. After their return in April 1895 from a curtailed attempt to enter the Hadhramaut from Dhofar, to the east, and ending with a frustrated Theodore steaming to Bombay to try and secure further British approval to survey up the Wadi Masila, the travellers settled down in London to prepare and lecture on their findings in Oman to the London institutions as usual. As was customary, after spending the early summer of 1895 in London presenting their previous season’s finds and socializing, Mabel and Theodore were ready for a few months’ holiday in Ireland and the north of England – during which time they would make their final plans for their next expedition. And that was that. 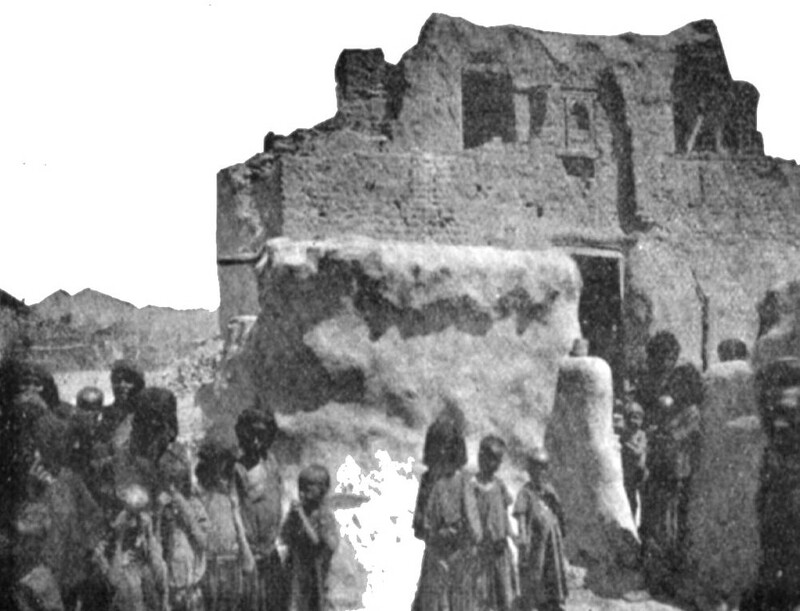 Tribal unrest in the Southern Arabian lands – exacerbated by the slow decline in authority and power of Ottoman regional control and the corresponding acquisitive glances of, in particular, France, Italy and Germany – was such that even the Bents were prevented from returning for a third attempt on the Hadhramaut, in continuation of Theodore’s researches into the ‘Sabaeans’ and their influence east and west of the Red Sea: research, it is clear, that was being considered for a monograph – the traveller having produced no book since his work on Mashonaland, published in 1892. ‘My Dear Mill… Since I wrote to you last our plans for next winter are materially changed… I got a letter from the Governor of Zaila [Somalia] asking if I would undertake an expedition… this district apparently wants exploring both from geographical and political points of view and I think we shall attempt it. This will be a respectable basis on which to apply for a grant… We shall be back in London early in October when we shall meet… Yours very sincerely, J. Theodore Bent’ (Letter, 13 September 1896, (Mill Correspondence, RGS Archives: arRGS/CB7/Bent, T&M). However the Somalia expedition came to nothing and by the late summer of 1896 the couple decided to make a further attempt at explorations in Southern Arabia, again in search of traces of the Sabaeans, and possibly reaching the western outer limits of the Hadhramaut. The routes east and north-east of Aden would trace the ancient caravan/incense trails which once, according to Ptolemy’s map of the 2nd century AD, linked Aden with Shabwa in the Hadhramaut. 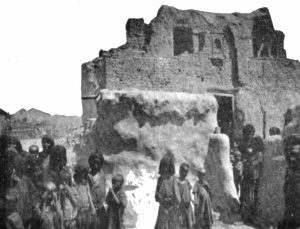 The well-worn thoroughfare led through Abyan to Bir Mighar, the territory being under the control of the Yafei and Fadli tribes, at the time relatively friendly to the British authorities. 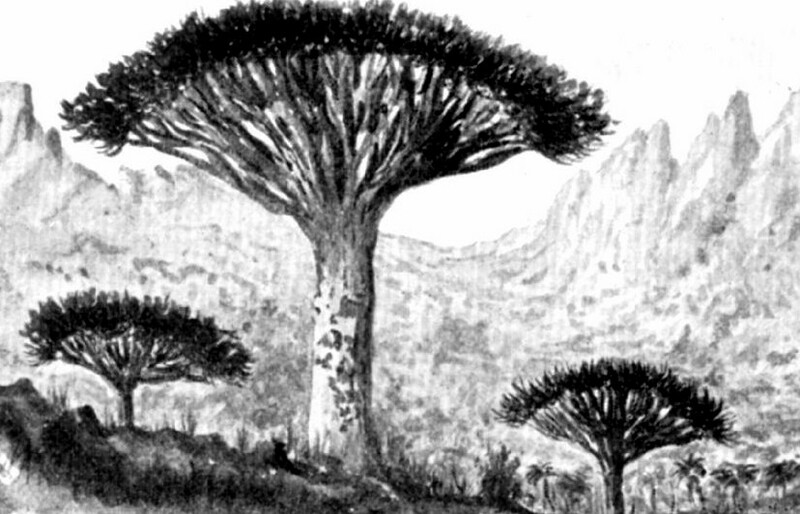 Socotra, too, lay within Theodore’s field of interest. 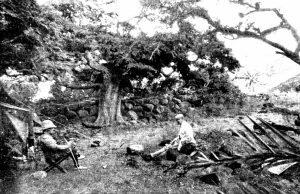 The island was long known from early references as a land of plenty, and Theodore would have a chance to see firsthand the spectacular resin trees that were sources of frankincense and myrrh renowned in antiquity. Further objectives would include a chance at some mapping, a basic study of the distinct language, and also to look for evidence of Christianity on the island. Socotra had the added benefit of being removed from the political disturbances of the Yemeni mainland. The uncertainty of the itinerary is at odds with Mabel’s opening lines of the final section of their monograph Southern Arabia (page 343), which seems to suggest that the couple had decided in England to make Socotra the focus of their expedition for early 1897: ‘As we had been unable to penetrate into the Mahri country, though we had attempted it from three sides, we determined to visit the offshoot of the Mahri who dwell on the island of Sokotra’. 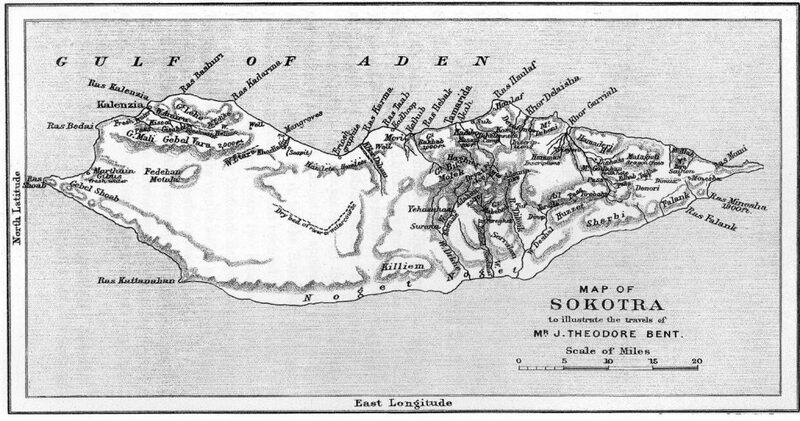 Unlike the Bents’ expedition to the Hadhramaut of 1893-4, the party to Socotra and Aden was to be a modest affair, perhaps indicating a decline in interest by the London academic and scientific communities in Theodore’s commitment to Sabaean Southern Arabia. 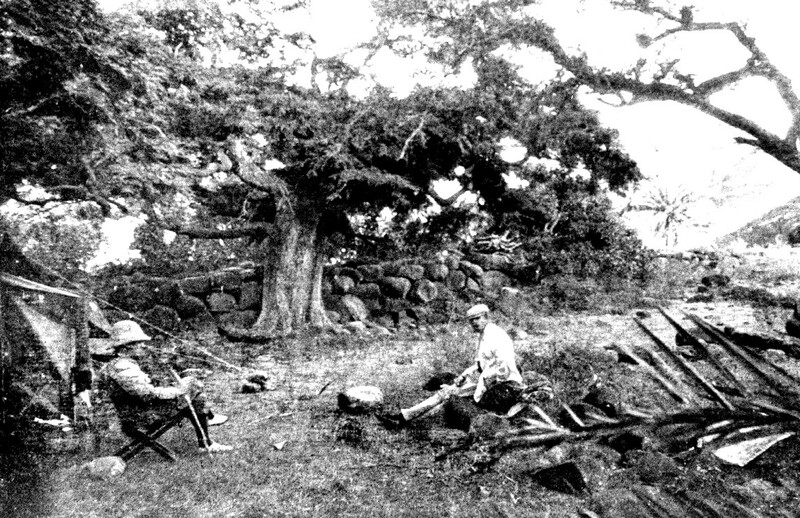 The team included no surveyor, botanist or zoologist, the Bents taking with them a certain Ernest N. Bennett, ‘Fellow of Hertford College, Oxford’, who would be contributing to the costs, rather like the adventure-tourist of today. The Bents seem to have exhausted Socotra’s secrets within eight weeks, the first of which was spent doing very little at their disembarkation point. After some difficulty and expense they succeeded in hiring a small vessel for their to return to Aden, and, finding the neighbouring tribal families relatively peaceful, decided to explore east of Aden, perhaps even contemplating the north-east route towards the Hadrami interior once more. At Aden, Ernest Bennett was eventually seen onto the steamer home, via Cairo, and the Bents, with Manthaios Símos, set out on 27 February 1897 for their last explorations together into the territories east of Aden. 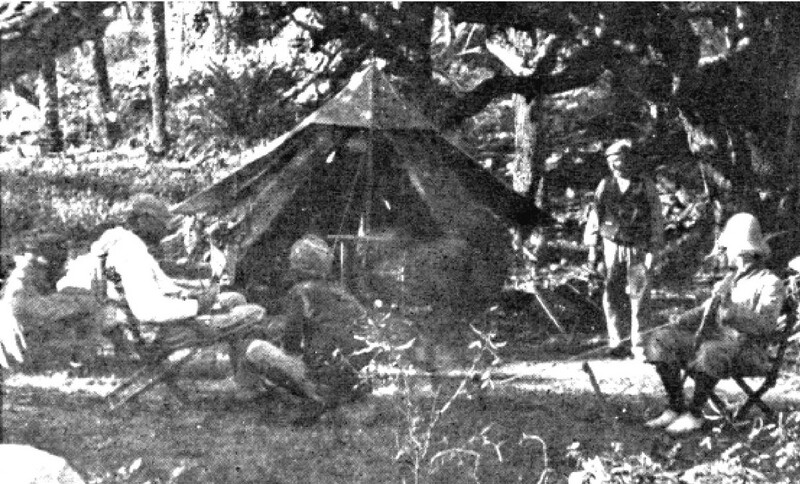 They were clearly weakened after their stay on Socotra and on March 16 Mabel records that ‘Theodore was in a raging fever so that I had to tell him I was now much better and had got quite strong, so I could take care of him.’ It was clear the expedition would have to be aborted and the arduous trek back to the coast, and onward boat journey to Aden, made as soon as possible. 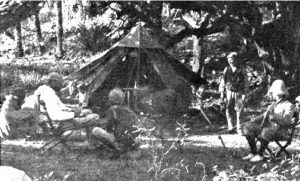 With great difficulty the stricken travellers were aided down to the coastal town of Shuqra for the 100-km return sail to Aden, and by 26 March were both in hospital there. 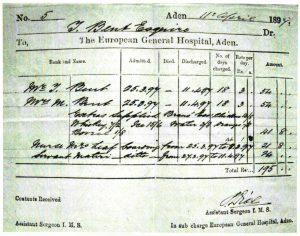 After their stay in hospital in Aden, the couple said goodbye to Manthaios (who had dysentery and was also hospitalized) for the last time and set sail for England, via Marseilles. As Mabel confides to Scott Keltie above, during the return journey Theodore had a relapse developing pneumonia on top of malaria. With the last of his strength they reached their London home (13 Great Cumberland Place) on 1 May. 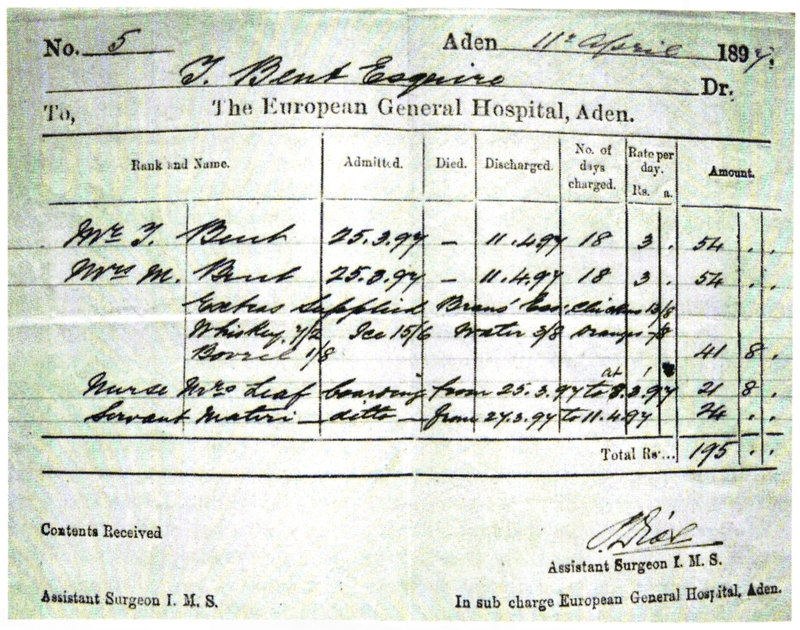 Despite the attentions of Mabel (and her sister Ethel), the resident doctor and two nurses, Theodore did not recover, succumbing just a few days after their final trip on 5 May 1897. 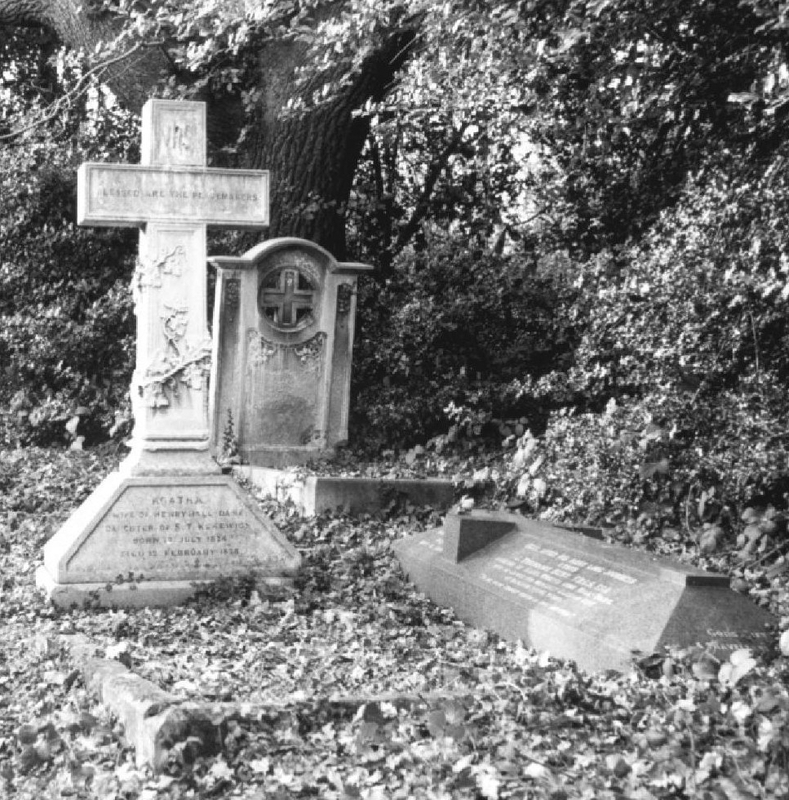 Theodore and Mabel’s grave and memorial (right) in the churchyard of St Mary’s, Theydon Bois, Essex. 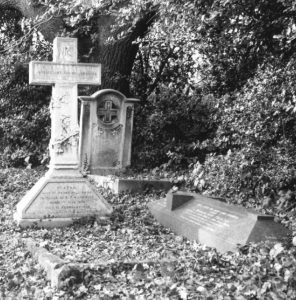 Theodore’s epitaph reads: ‘Here, after his many long journeys rests J. Theodore Bent, FRGS, FSA, husband of Mabel Virginia Anna Hall-Dare, son of James and Margaret Eleanor Bent of Baildon House, Yorks. “To be with Christ which is far better”’.